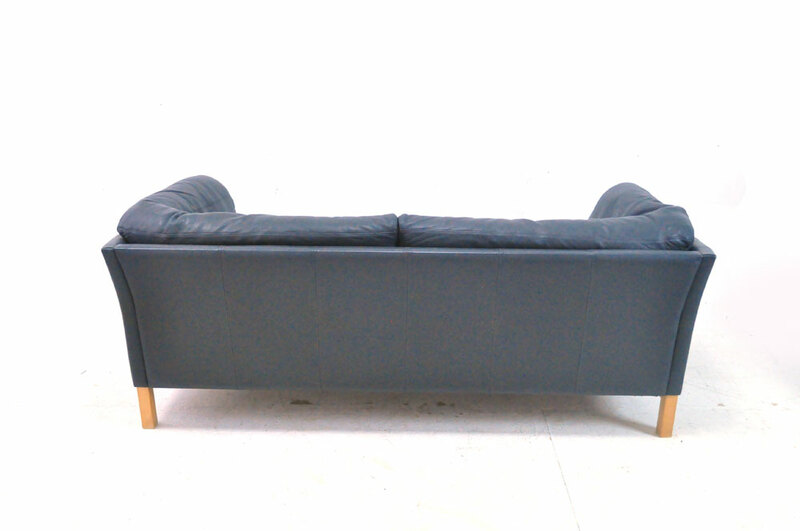 A wonderful classic Danish design sofa with space saving box design frame. 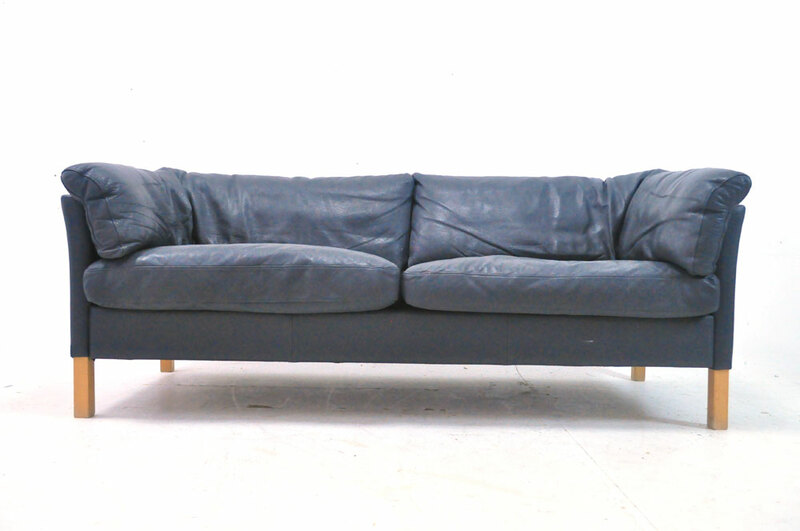 After a long day at work you can come home to this lovely sofa, with it's comfortable feather filled cushions and relax! 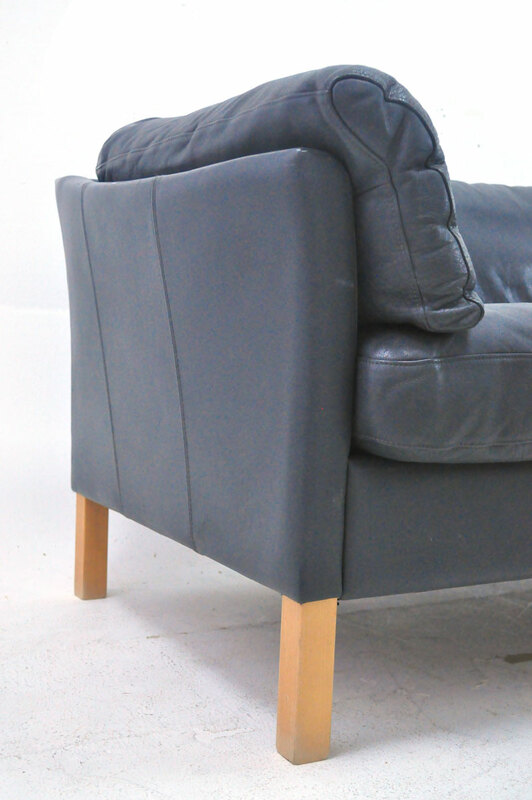 The cushions allow the air to escape the feathers when you sit down so you sink into them making this a really comfortable sofa. 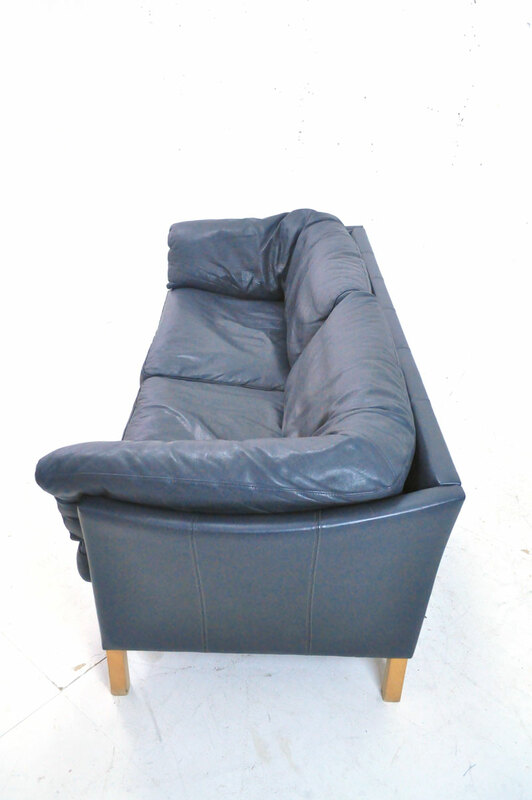 The back cushions are also feather filled with the cushion being made up of 9 internal compartment the feather are filled into. This design prevents them from all falling to the bottom. 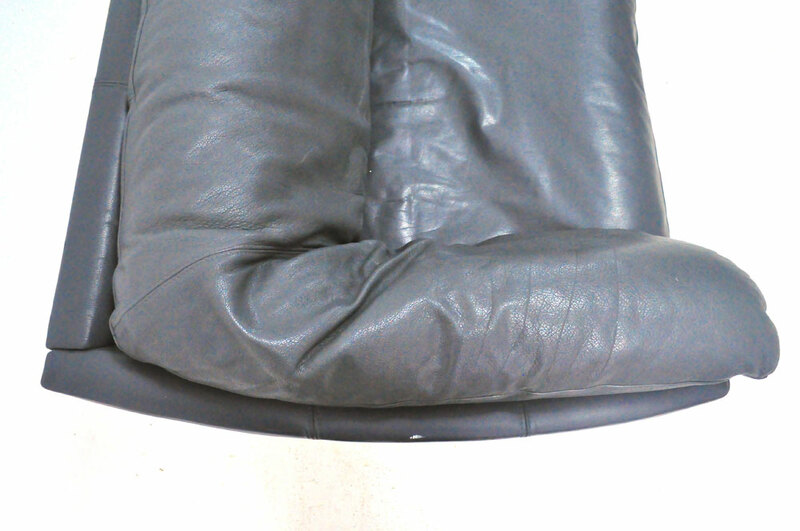 The cushions can be plumpbed up by manipulating the feathers should they settle. 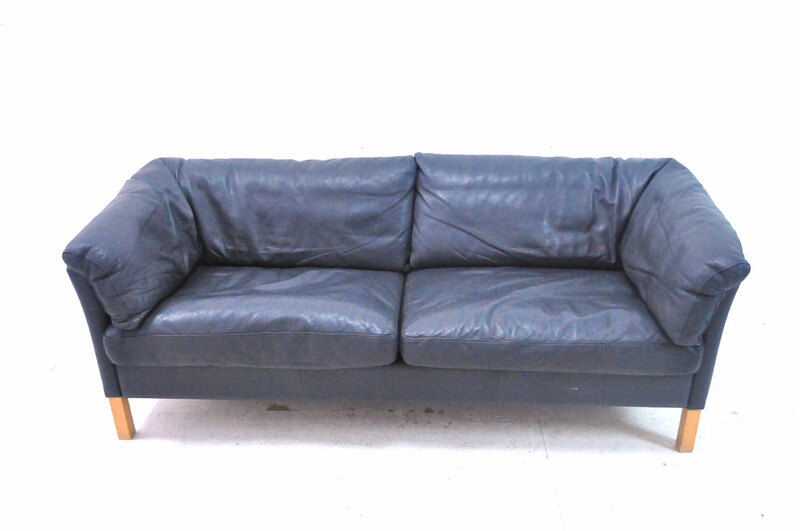 The sofa is fully upholstered in lovely grey colour leather which has a unique grained pattern and is thicker than standard leathers. 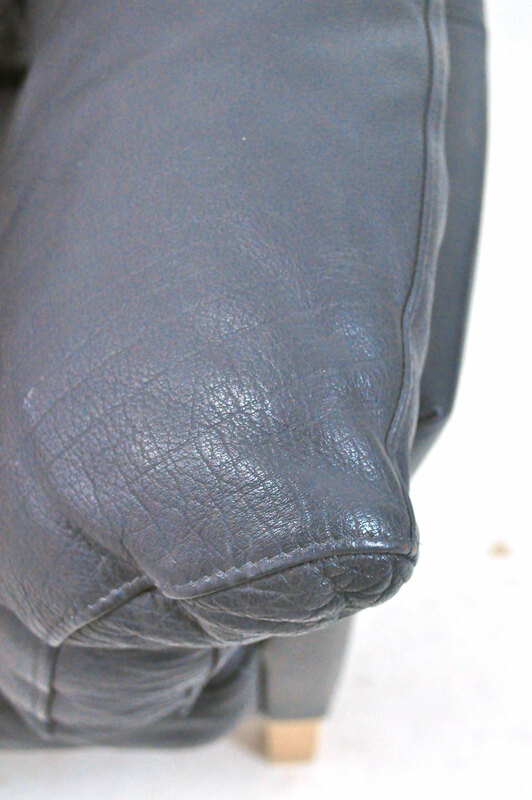 The life span of this leather is much longer too. 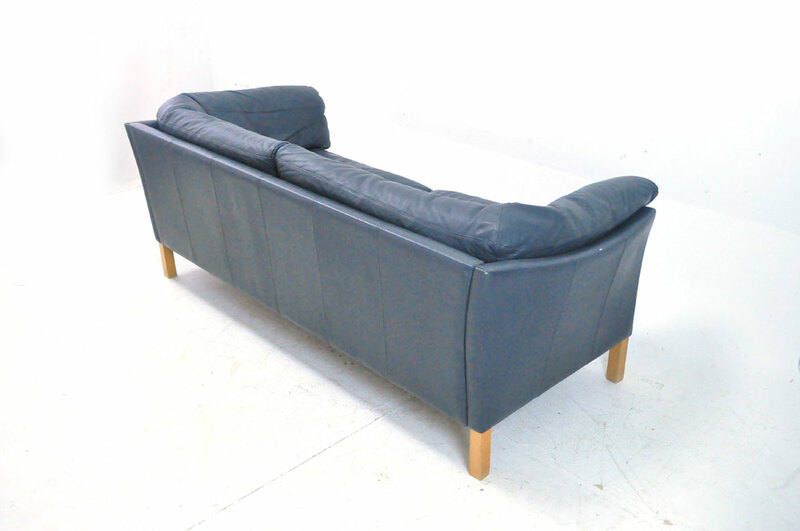 The sofa frame is based on the classic Danish box design which gives you lots of seating while not taking up lots of valuable space. 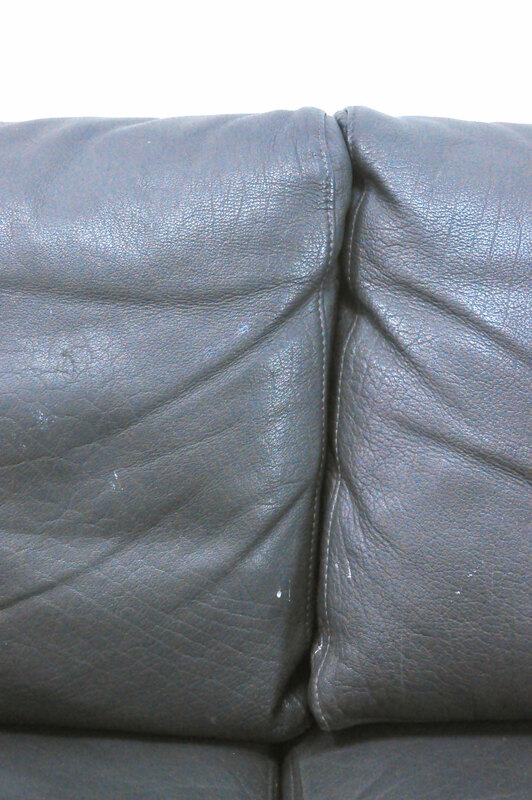 The leather shows lovely patina and all the feather inner cushions are in excellent condition.